Macau’s thriving creative scene has received an injection of vitamin D. Opening just this month, Anim’Arte Van Nam is the city’s brand new landmark for leisure, culture and creativity. Macau’s thriving creative scene has received an injection of vitamin D. Opening just this month, Anim’Arte Van Nam is the city’s brand new landmark for leisure, culture and creativity. Its aim is not just to diversify the SAR’s entertainment offerings, but also to make use of some very prime real estate on the peninsula. A joint project by Macau’s Cultural Affairs Bureau, the Sports Bureau, the government’s Tourism Office and the Institute for Tourism Studies, the new lakeside promenade should be a boon for a city that’s looking to show off more than its razzle dazzle. The expansive promenade promises to revitalise the man-made Nam Van Lake with dining, cultural and creative retail spaces, exhibition sites, performances, workshops and even on-water activities – all while overlooking the impressive, colourful skyline of the territory. The various bureaucratic fingers in the Anim’Arte Nam Van pie perhaps best exemplifies the SAR government’s push to transform Macau into a centre of leisure and tourism beyond its obvious main attraction. There’s been a noticeable push of late to promote Macau’s impressive heritage sites and cross-sector efforts like this latest unveiling are working to bring about even closer ties between the cultural entities involved. It’s a model, we dare say, from which our own LegCo could learn a thing or two. There’s a fair bit to see and do at this new creative hub, and something for just about everyone. Retail spaces provide outlets for local designers to show and sell their wares, making for souvenirs a cut above your average fridge magnets. There are daily performances, all free of charge. Between the hours of 5pm and 10pm, there's doll making, puppet making and paper craft workshops which are open to all. If that’s not quite your bag though, there’s a dedicated street art area where you can graffiti your way to glory. 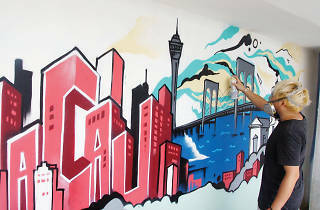 The street art, it should be noted, is curated by Macanese graffiti crew Gantz5, who, since 2004, have worked with a range of international organisations to promote street art culture. A particular highlight is Anim’Arte Van Nam’s indoor craft and book market, open until 10pm daily. Weekend visitors can browse up to 20 stalls in weekend craft markets, providing even more opportunities for local artisans to reach a wider audience. Weekends are set to be lively affairs with regular costumed parades, as well as fado and jazz recitals. The IFT Café (named for the tourism school) is the perfect place to sit back and enjoy it all, too, with European bites prepared and served by some of the best up-and-coming hospitality talent in the region. 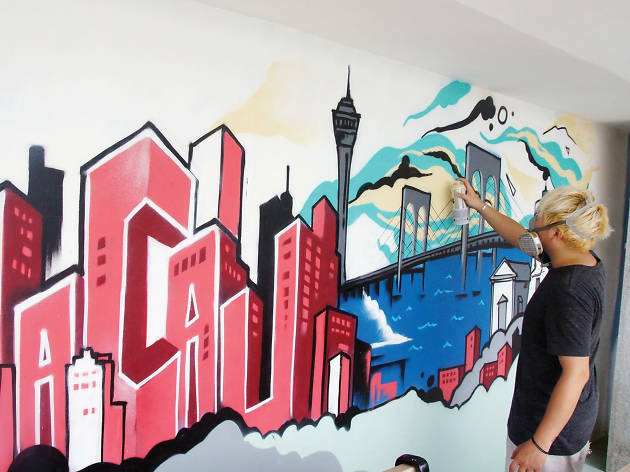 We love what the new hub is bringing to Macau – it’s a much needed breath of fresh air to an under appreciated location that was just begging to be used. And if it allows visitors to see even more of what the city has to offer beyond the obvious, that can only be a good thing. For more information, head to macaotourism.gov.mo.